Trochilus Polytmus has several common names. The most famous is "The Doctor Bird". 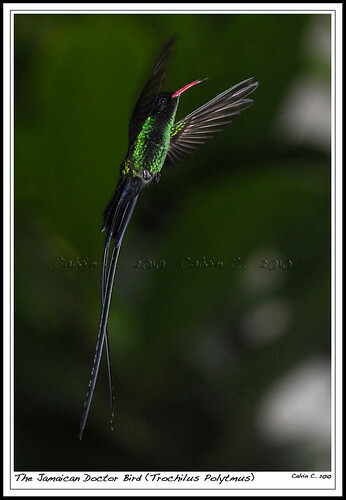 Others are the "Red Billed Streamertail" and "The Swallow Tail Hummingbird". The Doctor Bird is also the National Bird of Jamaica.